Moving is a difficult and tiring task. It is often time-consuming and very hard on your body. Similar to how you would never want to fix the plumbing in your house, why would you want to move things by yourself? There are right ways to do things as well as wrong things. Sometimes the best thing you can do is call the professionals and let them handle it. When you live in Key West, Movers are the ideal way for you to get out of your old location and into your brand new home. Free written quotes are a staple of Top Notch Movers excellent services. Not only are our free written quotes often accompanied by a walk of the property and a full on inspection, but once those have been written down, we stick to it! We are officially licensed with both the DOT and Florida PROMOVERS, besides that, we also insure our movers. We have a high degree of professionalism and put out money where our mouth is. Finally, we are always pushing to have the best customer service in the industry. If you are looking for low-cost with high-quality service, we are the people for you! Get The Most out of your Moving Service. The process of moving to a new location and starting your life again but in somewhere else draws millions of people in year round. But the process itself, isn’t that much fun, in fact, it can be quite grueling. For hundreds of people in Key West residential movers are the only answer to their moves. Why waste a day packing, a day moving and a day recuperating from the strain and aches that happens with moving? There are several reasons to move a business. Relocation, downsizing, moving up, you name it. But moving the business yourself is just plain crazy. We provide the best commercial moving Key West has to offer. We’ve been operating out of Florida for several years, and through our experience, we have created excellent customer relationships and established ourselves as the top moving service. Florida is the seventh longest state in America. When you want to drive up or down it during your next move, it can be a draining hassle that makes it impossible for you to function the next day. If you are looking for the best movers in Key West, look no further. If you would like to schedule a long distance mover today! Our Key West Senior Moving Services are ideal for anyone over the age of 55 who might need help moving their belongings. Being relocated and adjusting to a new place is already difficult enough without having to add on the strain of doing it all yourself, let us take some weight off your shoulders. 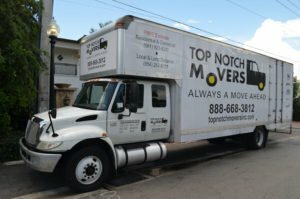 Top Notch Movers salutes our veterans. You’ve given time from your life to serve us and ensure that our country remains safe. To help, we’ve created a special discount for all active duty military and veterans alike, just give us a call today. Top Notch Movers is a professional and experienced moving company, and we have your back. As Key West movers, we love offering our clients exceptional customer service that is unparalleled by other moving companies. Our ultimate goal is customer satisfaction and if you are not satisfied, neither are we. Call us today for a free estimate and quote! Why Hire our Moving Services? Many people will ask why they should get moving services at all. They’re strong and limber; they have friends who are strong and limber who can help. 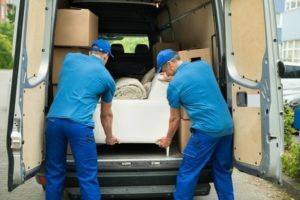 Why spend the money on a moving company? It’s simple, we will save you time, and we will keep you safe. Time is Money. The amount of time that it takes for someone to do a move on their own will often be much longer than if they used professional movers. Our movers are by the hour and act like it, which means your things will move fast and get to where they need to go even faster. The most important part is staying safe. There are dozens of ways that you can hurt yourself during a simple move. From breaking a finger to straining your back, it’s not worth it to risk hurting yourself for life. Back strain and injured body parts will often well exceed the costs of a moving company and potentially put your life at a disadvantage. From the moment I inquired about the move to the minute the last box was unloaded this operation proved to be top notch! Oleg, Chance and Efrain were the “A” team! Professional to a level I’ve never experienced. These folks run a tight ship. They’re punctual professional and a pleasure to work with! Thank you so very much guys!